Feme: What do fishermen know about dolphins and why do they know what they know? What do fishermen know about dolphins and why do they know what they know? Every time you go to a different beach, the most prudent thing to do is asking local people where the safe places to swim are (places with no currents, for example). It is very likely that you would ask people somehow involved with the sea at that particular beach, such as lifeguards, surfers, and fishermen. The reason is obvious: since they are used to the local environment, they would know the risks. The same is true when researching any specific characteristic of a given area. Sometimes, when you want to understand specificities of a place, the best option is to ask local people about its characteristics and dynamics. When living in a place and depending directly on its resources, people learn how to deal with things available at the place. As these people spend time on their daily activities, they also have more opportunities to observe and accumulate knowledge of the surrounding area. 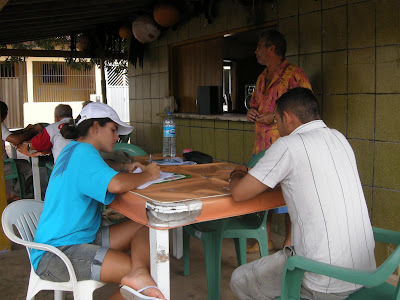 Gathering this local ecological knowledge (LEK) is a good way to learn about local features without spending too much time and money, since they would already be the result of local experience through years (and, sometimes, over generations). Based on this, several researchers have been including the LEK into their studies to learn about the ecology and biology of different species. 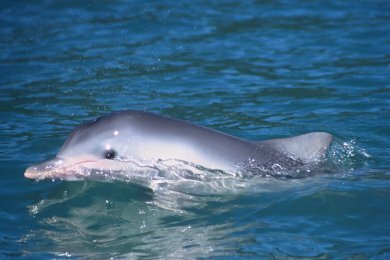 In our paper [“The behavior of the estuarine dolphin (Sotalia guianensis, van Bénéden, 1864) according to fishermen from different fishing environments”], we investigated the knowledge fishermen had about the behavior of a local dolphin. Even though dolphins are charismatic species, even for researchers, we still have a lot to learn about them because it is not that easy or cheap to study the behavior of species that spend most of their time underwater. Fishermen, on the other hand, have a natural chance to learn about dolphins, simply by performing their profession. But fishermen are just regular human beings and, as such, will have their cultural biases as well that will shape the knowledge they carry. 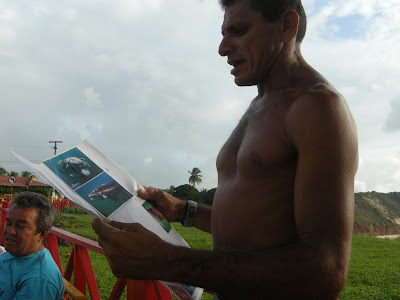 Assuming that such biases would affect knowledge construction, we investigated how the perception of small-scale fishermen regarding the behavior of the estuarine dolphin (Sotalia guianensis) is affected by their education, experience, the type of environment where they predominantly fish, and the extent to which they are involved in dolphin watching tourism. We interviewed fishermen in routine contact with populations of S. guianensis in NE Brazil. Overall, most fishermen correctly reported the habitat, distribution, seasonality, and feeding behavior of this dolphin, besides bringing new insights into the dolphin’s reproductive behavior and its possible migration patterns. As expected, more experienced fishermen provided more details. Interestingly though, those fishermen that studied more years could also provide better details, perhaps suggesting that formal education could fine-tune their perception. Another important finding of this study is that fishermen’s knowledge is widely affected by the fishing environment they commonly use, because dolphins perform different behaviors depending on where they are. This finding has as additional implication and could be used as an attention flag to studies using LEK: you better carefully select your informants depending on what you want to learn, besides considering the effects of their cultural biases. Once you are aware of those limitation, inherent to human beings, be sure that fishermen, besides knowing a lot about fish, may also provide information on cetaceans that could be used in management and conservation when scientific sources are missing or insufficient. Manzan, M & LOPES, PFM. 2014. Fishers' knowledge as a source of information about the estuarine dolphin (Sotalia guianensis, van Bénéden, 1864). Environmental Monitoring and Assessment, 187: 4096.